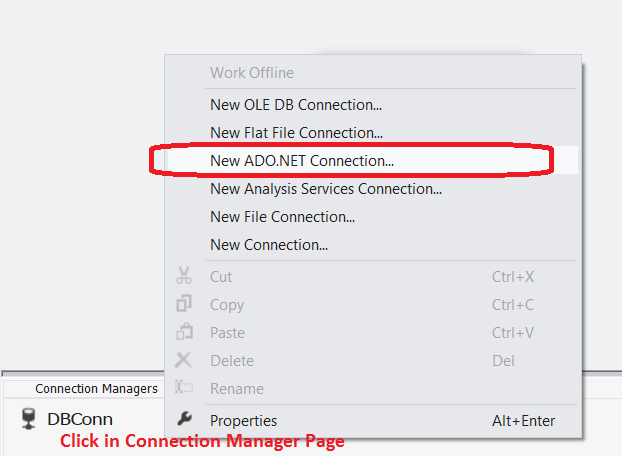 I wrote a post / video in which we learnt How to load flat files ( comma or pipe) delimited dynamically to SQL server Tables. Here is the link. I received an email from one of the viewer and she was interested to load Tab Delimited files dynamically to SQL server Tables. The Package should be able to read the files from source folder, create the table after reading first row( header) and then load the data. The below package can be used to load comma, Pipe and Tab delimited. When need to use the Package for Tab delimited files, you have to set FileDelimiter variable value=TAB, if loading comma delimited files then provide comma. FileDelimiter : Provide the delimiter which is used in your txt or csv files that can be , or | or TAB. I executed the package and it was able to able to create new table by reading header row from tab delimited file and load the data.